I was at an after work party yesterday and I was amazed at how some things can work so well off-season -- as well as in season. 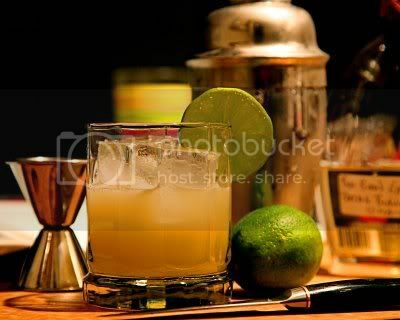 Take for instance the absolutely scrumptious ginger margarita I had last night from an expert downtown NYC mixologist. (A super duper fancy term for one who exceeds above and beyond being just your average, ordinary bartender or barkeep). Even though I have to admit that thoughts of summer on such a cold January night in New York did in fact cross my mind, and I'd really be lying if I said otherwise. Anyway, here's a clip with one of my favorite chefs (and mixologists), Ming Tsai, giving you the secret to a spectacular ginger margarita. Self indulgent clip spoiler: The secret is in the ginger syrup that you make yourself. Watch the clip. Ming shows you how.